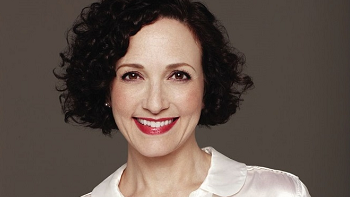 Emmy and Tony Award Winning Actress, Bebe Neuwirth is best known for her role as Dr. Lilith Sternin on the hit television Sitcom Cheers and its spin–off Frasier (two Emmy Awards). She is also synonymous with long running Broadway revival of Chicago, creating the role of Velma Kelly in 1996 (Tony Award) before returning to the show in 2006 as Roxie Hart and then again in 2014 portraying Mama Morton, making Neuwirth the first person to play three separate characters at three different times during a single Broadway run. Her other leading Broadway roles include Nickie in Sweet Charity (Tony Award) and Morticia Addams in The Addams Family opposite Nathan Lane. Most recently, Ms. Neuwirth completed a three year run playing the role of Nadine Tolliver in the CBS drama Madame Secretary.